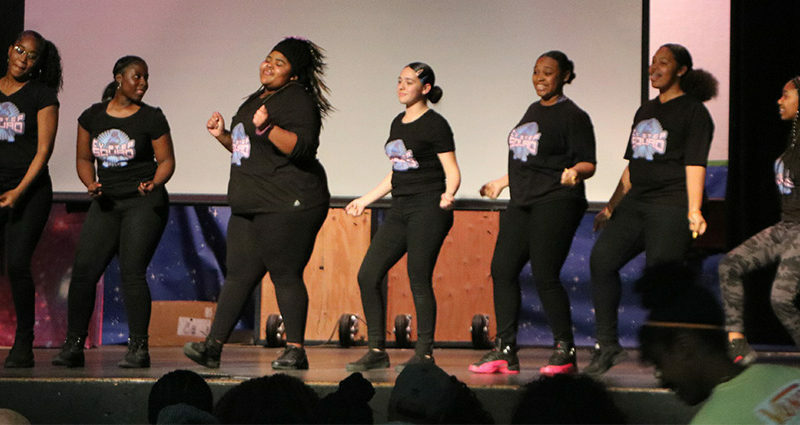 In a night filled with art, performances, and proud friends and family, a Black History Month Celebration truly showcased the many talents of African American students. Hosted by the African American Parent Advisory Council and Black Student Union (BSU) on Feb. 27, the celebration featured a gallery walk displaying student art and live performances. The eclectic art gallery included photography, paintings, mosaics, engineering projects, ceramic pieces, and more. The subjects of the works varied from black history and culture to science and everything in between. Meanwhile, the performances were just as diverse. Students performed songs and poems, some of which were original compositions, along with monologues and dances that engaged the entire audience. After many events at CVHS, such as a former Black Panther speaking, thanks to BSU during Seasons of Service, Period of Peace (SOSPOP), this celebration was an inspiring way to end Black History Month. “During SOSPOP we honored Black History, but during the celebration we put a spotlight on the students at CVHS,” stated senior Layne Johnson, BSU president.